When you’ve run a gardening blog for a few years, you start to receive a lot of questions from your readers. Not surprisingly, one of the questions that I have received the most often is about whether or not Miracle-Gro is an organic or a synthetic fertilizer. Because of this, I decided it was time to directly address this topic. But, before we get into the nitty gritty of answering “is Miracle Gro organic?”, let’s go over why synthetic fertilizers are frowned upon in the first place. Synthetic fertilizers can wind up having a lot of harmful effects on the environment. For instance, they have the ability to harm the microorganisms that are responsible for making both soil and plants fertile. Additionally, they can make it difficult for soil to hold water and nutrients, and they also cause major nutrient imbalances that can be very detrimental for the health of soil and plants. And, as if all of this isn’t bad enough, when synthetic fertilizers runoff into the water system, they can serve as pollutants and thus cause eutrophication to occur, which is essentially the presence of too much nitrogen in a body of water. This can cause life to rapidly die off, and it kills both animals and plants in the water. 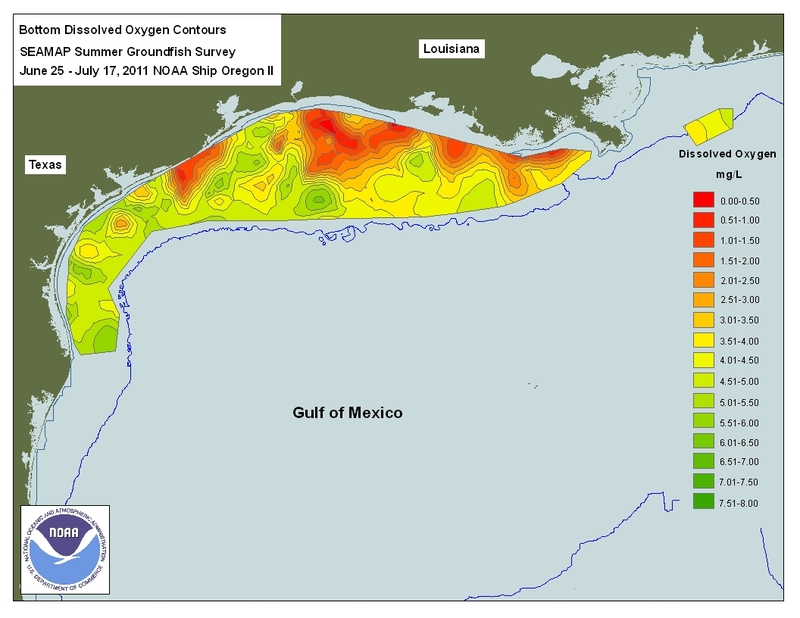 The dead zone in the Gulf of Mexico, caused by nutrient runoff of massive monoculture farming. With all of this in mind, it’s pretty clear why we all should avoid synthetic fertilizers if possible. To determine if something is organic or not, you first need to establish what exactly ‘organic’ means. 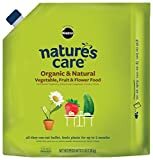 Whenever I used the word ‘organic’, I’m referring to something that is natural and doesn’t contain artificially-produced chemicals. It’s important to keep in mind, though, that organic doesn’t automatically mean that something is safe. Likewise, if something isn’t organic, that doesn’t automatically mean it’s unsafe. While it has been found that chemicals tend to have a harsher impact on the earth than organic products, your plants don’t know the difference between these two things. To them, organic or inorganic fertilizer is all the same, and both types of products have been found to be effective. To answer the question, “Is Miracle Gro organic?” simply: yes and no. However, as I said earlier, make sure not to assume that organic fertilizer is automatically safer than fertilizers with chemicals. The basic components of fertilizers tend to be relatively the same, whether they are natural or man-made, and they both can cause issues such as algae blooms and pollution. The same rules apply to pesticides, so don’t let yourself be deceived. In my personal opinion, if you are using a product for the purpose of killing something, even if it’s ‘natural’, it’s probably bad for the environment in some way. Because of this, I try to avoid using them as much as possible. Short of poison ivy or a herd of ants carrying my house away, I stick to natural tactics. A great alternative is known as “integrated pest management”, and it essentially consists of putting beneficial pests in your garden in order to take care of the pests that are eating your plants. Unfortunately, deciding whether or not Miracle Gro is organic and should in turn be used in your garden is somewhat of a gray area. When you look at all of the products that Miracle Gro produces, you’ll immediately notice that a lot of them ARE full of unhealthy, inorganic chemicals. Furthermore, Miracle Gro is owned by Scotts, which is known for being a really big supporter of Monsanto. If you’ve kept up to date with recent news, you’ll know that being associated with Monsanto is a huge no-no. Plus, all Miracle Gro products are mass produced, and they are generally composed of cheap, low quality ingredients. Finally, to make matters even worse, Scotts has been repeatedly found guilty for mislabeling their products and lying about what’s in them. If you’re at all worried about potentially using harmful chemicals in your garden, I personally recommend that you stay away from Miracle Gro and try out some alternatives instead. There’s a lot of great products out there that are organic, and some of them are even easier to use than fertilizer. The first alternative that I would recommend trying is composting. Compost is fantastic for all gardens, and it will help to make your soil quality so high that you will not need fertilizer. Plus, most of the materials that you will need for composting are already in your home, as they’re a variety of food scraps and paper goods, such as napkins. If you don’t yet own a composter, I strongly recommend either checking out my review of the best 5 indoor composters or trying the Bokashi composter by SCD Probiotics. It comes with everything you need, is reasonably priced, and is super simple to set up. Plus, it’s the perfect size for those of you that happen to live in smaller homes, such as apartments. If for some reason you’re not interested in trying out composting, you can always give JR Peters Fertilizer a go. 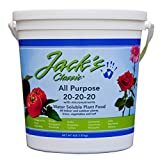 This brand has a variety of different types of fertilizers, and all of them are known for being incredibly safe to use. They’re also very reasonably priced and come in huge tubs, so they should definitely last you a while. 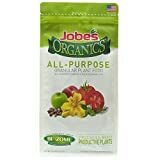 Finally, if Miracle Gro just isn’t going to get the job done for you, you can always try out Jobe’s organic fertilizer. Jobe’s has a lot of different types of products, so I guarantee you’ll find one that fits your specific needs. Plus, you can rest assured that all of the ingredients in it are natural and organic. And there you have it- the answer to whether or not Miracle Gro is organic. These products definitely can be useful and are very commonly bought, but I understand if you’d rather play it on the safe side and use one of the alternatives I mentioned. Make sure to comment below with your favorite fertilizer, as well as your opinion on whether Miracle Gro should be used or not! I’m always looking to add more material to my answer to this debate. I DONT HAVE MANY OPTIONS, LIVING IN MEXICO. HOME DEPOT IS HERE SO I AM INCLINED TO USE WHAT THEY SELL. AND THEY SELL LOTS OF MIRACLE GRO PRODUCTS. I DONT HAVE ACCESS TO COMPOST OR ANY PLACE TO HAVE A COMPOST PILE SINCE I LIVE IN AN UPSTAIRS APT WITH ONLY A BALCONY SO I AM STUCK TO NO OPTION BUT USING POTS. I HAVE HAD MUCH SUCCESS WITH MIRACLE GRO PRODUCTS; AND I AM NOT POLITICALLY CORRECT. SO I DONT CARE ABOUT MONSANTOS CONTROLS IN THE WORLD. You should use what’s available in your region, for sure! But I used to live in an upstairs apartment with just a balcony, and I had a worm composting tray system set up on my balcony. It worked miracles for me. You might want to consider a worm bin or a compost tumbler, both of which work great in small spaces and turn your food scraps into high-quality compost or soil amendments. Over time, it’d save you money (because you wouldn’t need to purchase the bagged soils as often), and you’d have access to great organic material. Even then, Miracle-Gro does produce some organic products, and they should be available in Mexico as well as the US. It all depends on what you prefer to use. And if you like the standard chemical fertilizer line from Miracle-Gro, by all means use what works for you! The important thing is that you’re still getting your hands dirty and growing plants. Isn’t interesting that JR Peters Fertilizer comes in a huge PLASTIC tub? That is some kind of contradiction, isn’t it? I bought $50 worth of miracle grow grow organic potting soil. Unfortunately even though I’ve purchased this brand at Costco before I have never seen anything like it . Even though I added compost and home made fertilizer with compost and sugar marinade – seeds germinate but refuse to grow. I’ve had a hard time growing with it too and now use Espoma, Black Gold, or various other organic producers that are more in line with my philosophy as well. Dr Earth produces some fine organic fertilizers and garden products too. Actually, any garden product labeled with the OMRI (Organic Materials review Institute) logo is viewed by most organic gardeners as safe.